Your Red Lid Bin is for Residual Waste only. This bin is collected weekly, with your alternating Recycling Bin and Organics Bin. This bin is for most items that cannot be recycled or placed in your Organics Bin. 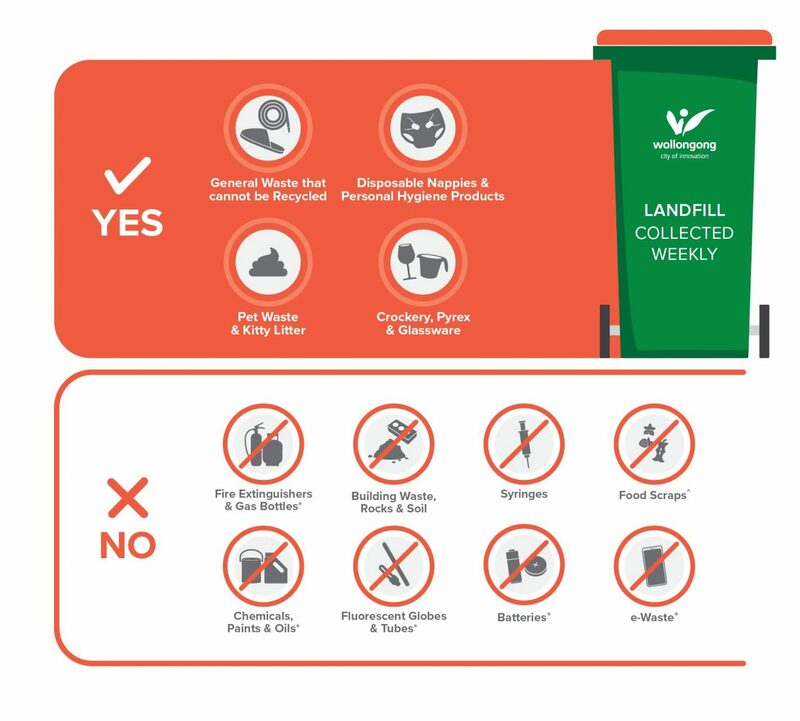 There are still some items that cannot be placed into this bin due to the environmental damage they can cause when landfilled. For information on what to do with problem wastes click here. 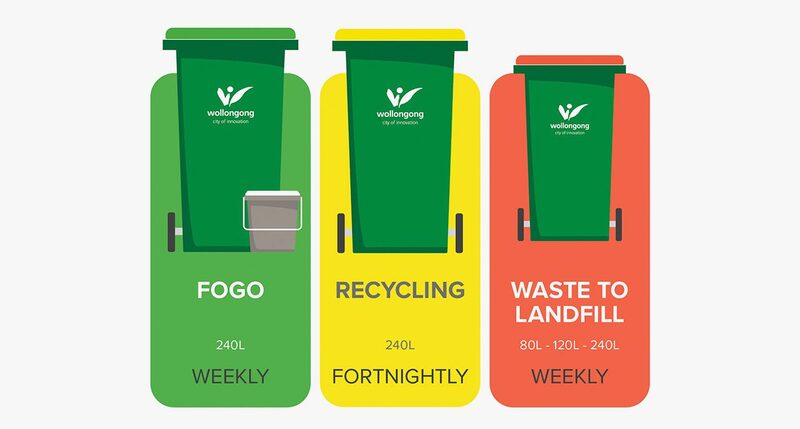 Council offers residents the choice of an 80L, 120L or 240L Residual Waste Bin to suit the needs of the resident. For a full list of Fees & Charges click here. The vehicle lifting capacity is a maximum of 80kg and any bin exceeding that limit cannot be emptied. To check your bin size, look under the rim. Residents who have excessive waste material and who already have a 240 Litre bin can apply for an additional Residual Waste Bin. Additional services can only be requested by the property owner and are levied through the rates system. For applicable fees click here. To request an additional Residual Waste Bin, please click here. It is free for property owners to downsize their Residual Waste Bin (e.g from a 120L to an 80L or from a 240L to a 120L or 80L). Not only will you be sending less residual waste to landfill by downsizing, your Domestic Waste Management charge on your rates will also be reduced. To resize your Residual Waste Bin click here.